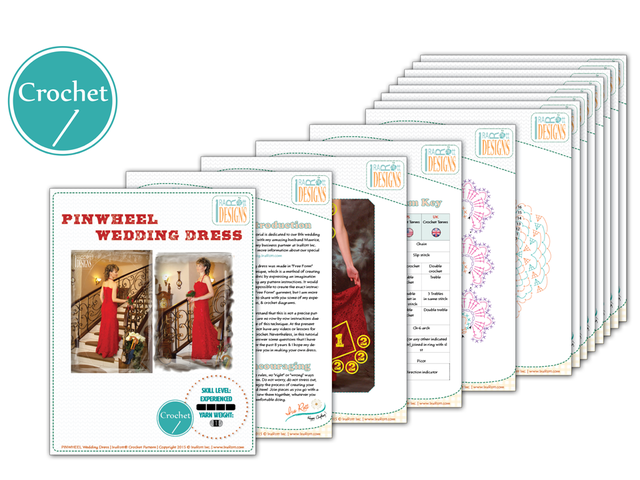 Pinwheel Free Form Wedding Dress PDF Crochet Pattern - IraRott Inc. FORMAT: PDF, 12 pages, 5.43 MB (mobile devices friendly). Language - English. 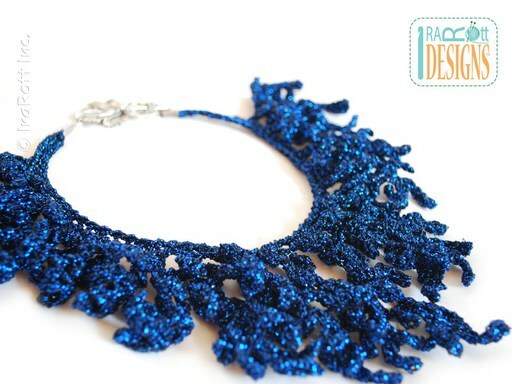 This tutorial explains how to finish a one-of-a-kind dress in Free Form crochet technique. 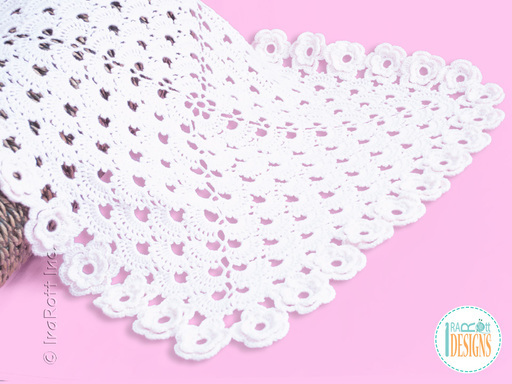 The pattern includes crochet diagrams & tips, however, it is not a precise pattern & there are no row-by-row instructions due to the nature of this technique. SKILLS: Chain, slip stitch, single crochet, double crochet, treble crochet, picot, irregular crochet net (optional), working in rows and in the round, increasing, decreasing, sewing, working with sewing patterns, crochet free form knowledge. 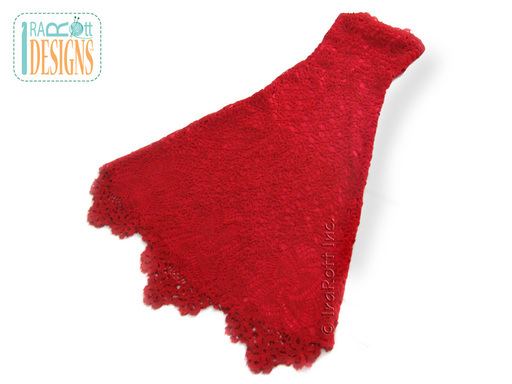 GAUGE: Gauge is not important for free form items, but the key for working with mohair yarn is to “crochet loosely”, which will make your stitches & fabric structure light. You can make any size dress, using your custom measurements & pattern-drafting skills or your favorite sewing pattern. This dress will fit size XS/S (or size 2/4 for USA & Canada).